What services do UK Carline offer? We offer a range of car leasing and contract hire options including Business Contract Hire, Personal Contract Hire, Finance Lease, Lease Purchase, Hire Purchase, and Personal Contract Purchase. We can advise you on all the benefits associated with each product, but our most popular options are Personal Contract Hire and Business Contract Hire. Who supplies UK Carline’s vehicles? All of our vehicles are supplied by UK dealer groups and manufacturers. We have service level agreements in place to ensure you get the best possible delivery experience and we monitor our suppliers on a daily basis. It's basically a long term rental. You have exclusive use of a vehicle for 2 to 4 years without ever owning it. You don't need to worry about selling the vehicle, as at the end of your contract you give it back to the funder. Do you need a credit check to lease a car? Yes: all our credit acceptances are conditional on you proving your identity and address. We will ask you for copies of your driving licence and/or passport, and a copy of a recent utility bill dated within the last 90 days. These must be addressed to your current home address. We may ask for further documentation in certain circumstances, such as you having recently changed address, or if you are not listed on the electoral roll. Yes we may still be able to help, but first we'd need to establish how poor. Please get in touch for more information. How old do you have to be to lease a car? You must be at least 18 to take out a finance agreement and lease a car. However, with a lack of credit history, we recommend that you have a guarantor: a parent, guardian or relative who shares an address with you. Yes, you will need a valid full UK driving licence. Yes, various accessories like tow bars and roof racks can be fitted to your vehicle, and can be included in your monthly rental. If you fit them yourself, they may need to be removed at the end of the lease and any damage or holes repaired. It is also advisable to inform your insurance company if you upgrade or add any accessories to your car or van. The majority of our contracts are over 2, 3 and 4 years, however we do sometimes have periodic 12 and 18 month special offers available. We can also quote you for longer leasing terms, such as 5 years to fix your costs. It’s always worth getting in touch with our sales team about our latest offers. Insurance can be included - please visit the link on the nav bar for more information. Outside of this offer, you will need to provide us with proof that your vehicle is covered by a fully comprehensive insurance policy. The finance company would be the registered owner, and you would be the registered keeper. Do all leased vehicles come with a manufacturer’s warranty and breakdown cover? Yes: all of our cars are brand new unless stated and come with a full UK manufacturer’s warranty. Breakdown cover is included for the first year as a minimum and can be included throughout your lease contract for a small additional charge. Please get in touch for more information. Maintenance is an optional extra with all our contracts, although occasionally it may be included as a special offer. If you require maintenance, then the cost of the lease may change. What is covered by your maintenance package may differ depending on the finance company used. It usually covers all servicing, tyres, brakes, exhaust, battery and labour. This can be very cost effective and save you the worry of unexpected bills. For more information, please either get in touch or visit our maintenance page. Does the cost include road tax? Yes. The monthly rentals include road fund license for the duration of the contract on all our business and personal contract hire deals. However, we may have certain offers that may exclude this such as PCP, Lease Purchase and Operating Leases. The initial rental is the first rental amount collected from your lease agreement. This is usually calculated as a multiplication of the regular monthly rental, so could be equivalent to three, six, nine or twelve times the amount of the regular monthly rental for the vehicle. The higher the initial rental, the lower the regular monthly rentals will be for the remainder of the agreement. Please note that since the initial rental isn’t a deposit payment nor is it refundable at the end of the agreement. When will I pay my first monthly rental? When you pay the initial rental depends on the funder: some want it in advance, some will take on the day of delivery, and some just after. Monthly rental payments are paid in advance, this means that the first regular monthly rental amount may be due in the same month that you pay your initial rental amount. On some occasions (depending on the funder) two monthly rental amounts may be debited in the second month of your agreement (to cover the first and second monthly rental). Your Account Manager will be able to clarify your own personal details for you. Rentals are collected via direct debit on a monthly basis. Your initial monthly rental is usually collected at the same time as delivery of the vehicle. Our sales support team will make sure you know when all your rentals are being collected. All new UK vehicles are subject to VAT. When you take out a Contract Hire agreement the VAT is spread across the monthly rentals. This also makes it easier to work out any VAT that you may be able to reclaim. Ask your account manager for further details. What advantages are there to leasing my car through a business rather than privately? The main advantage of leasing a car through your business is that if you are a VAT registered company you may be able to claim some of the VAT back on the monthly rentals and there could be additional tax advantages which will benefit your company. I am a taxi driver, courier or driving instructor. Can I still lease a vehicle? The offers on our website are for private individuals and companies who would not use the vehicles for hire and reward. We do have specialist finance in place for all the above businesses. Please get in touch with our team for more information. This could be anything from a few months depending on the vehicle you have ordered, to just a few days if the car is in stock and on site at one of our dealers, if we can approve credit quickly and if your documentation is complete. If it is a personal contract hire or regulated agreement then it may take a little longer. Distance marketing regulations are in place to protect you and require a minimum two-week cooling off period unless you visit our offices. If you visit UK Carline to sign documents and collect your car in person, we can sometimes reduce the lead-time further depending on the finance company. We can advise you of this at the time of your enquiry. Great! How can I obtain my vehicle? After you choose the car you would like and submit an enquiry, a member of our team will contact you as quickly as possible. Once we have had a chat and you have told us what you are looking for, we will run through the options available to you and see what is best for you and your needs. When you are happy with the quote and the service we have given you, we will e-mail you a detailed quotation that lists everything that was discussed and a detailed breakdown of the cost. We may also e-mail you a finance application form at the same time. At this stage, once you have had time to read the quotation, you can complete the finance application. Once you are approved, we will e-mail or send you an order form for the vehicle and you can decide on the colour, trim and any additional options you may like. Our sales support team will look after all the official documentation and talk to you about any additional information we may need. Once we have all the signed documents in place and your car is in stock, we will arrange for it to be delivered to your home or work address on the weekday that best suits you. You are allowed personalised registration numbers, however as you do not own the car the registration number will temporarily become the property of the funder until they are assigned back to you - as per DVLA rules. Any assignment fees incurred are your responsibility and the funder may charge a small administration fee if they need to amend your lease documents. Please get in touch with us three months before the end of your contract and we be happy to advise on transferring ownership of your registration number to you. Yes, as long as they have a full, valid driving licence and are covered by your comprehensive insurance policy. You must still remain as the primary user of the vehicle. I’m going on holiday/away on business: can I take my car abroad? Yes, of course. With a few exceptions, almost all leased cars can be driven in Europe. However, you will need to notify the funder and arrange for them to send you a completed DVLA VE103 form as proof of their authority to take a leased vehicle abroad. The funder may charge a small administration fee for this process. We will be happy to guide you through the process. The mileage can usually be amended on a contract hire agreement during the term of the agreement, but there are some exceptions. Please speak to our sales support team as soon as possible if you think your mileage allowance may be wrong, or if your circumstances have changed. All of our leasing prices are based on an annual mileage allowance. This allows us to take into consideration the depreciation of the your and calculate wear and tear. If you go over your mileage allowance, there will be a small additional charge to bring the contract back in line. This charge is usually on a scaling basis and may vary between finance companies. We will make sure you are aware of the amount of your excess mileage charge before you agree to your contract. As an example if your excess mileage charge is 6p per mile and at the end of your agreement your total mileage was 2,000 miles over the agreed contract mileage, then you will have an excess mileage charge of £120 to pay at the end of your contract (2,000 x 6p). Please note that if you significantly exceed your total mileage then the charge may exceed on a sliding scale. Whoops, I’ve got a parking/speeding fine. Who pays this? 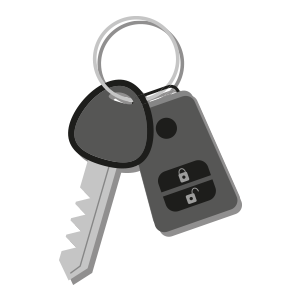 Since the car is registered to the funder rather than to yourself, they are likely to receive any parking and speeding notifications. They will pay for these on your behalf and recharge the cost of the fine, plus their administration fee, to you. I fancy a change. Can I change my car part-way through my contract? Although you are contracted to keep the car for the full length of the agreement it is sometimes possible to change your car a little earlier although an early termination fee may apply. Please speak to your account manager to see if this is possible. I don’t like this car anymore. Can I end my contract early? We recommend that you research and test-drive vehicles before you decide to lease one since the funder is likely to charge an early termination fee should you decide to end your contract earlier than originally agreed. Please speak to your account manager if you would like to buy the car. In many occasions it is possible to buy your car at the end of the agreement but in some cases this may not be possible. If the damage falls outside the fair wear and tear guideline, then you are obliged to have the damage repaired. Otherwise you will be charged for the repair after the car has been collected at the end of the lease agreement. For our guide to fair wear and tear, click here. Your leased vehicle will need to be serviced in accordance to the manufacturer’s maintenance schedule using original parts. Please note that some funders will allow you to service your vehicle at an independent service agent rather than a main dealer. Your account manager will be happy to advise and can also supply a full maintenance agreement for most leased vehicles for added convenience. You only need to service your vehicle if it is due a scheduled service prior to it being collected. If your vehicle is returned after an annual service is due or if the service indicator light is showing that a service is due or overdue then you may be charged for the car to be serviced. As long as you are within your agreed mileage, have looked after your vehicle, serviced it in accordance with the manufacturer’s servicing schedule and it’s condition is within the fair wear and tear conditions you should not have any additional charges. Please make sure you always read the terms and conditions of any finance agreement so you are fully aware of all of the end of contract obligations. There are many options available at the end of your contract depending on the agreement type and finance company. You can start a new contract with a new vehicle if you wish and you may also have an option to buy the vehicle, or extend your current contract should you prefer. Your account manager will advise you of your options and keep in touch over the duration of your contract. For more information, or if you have any further questions, please contact one of our team on 01995 641111 or by email.